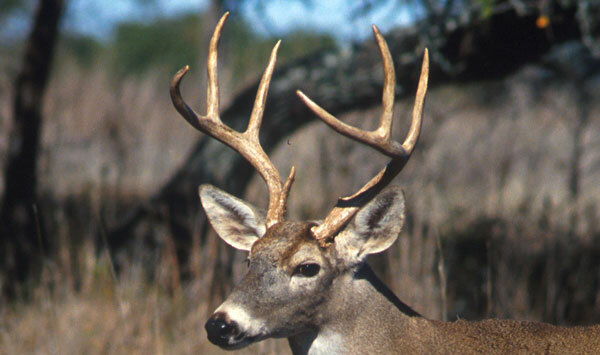 The great state of Texas boasts some of the best deer hunting opportunities around. Whether you want to take down a massive buck in Brush Country or bag one of the plentiful whitetail deer in Hill Country, Texas is one of the best places to hunt. However, with 95% of Texas land being privately owned, finding a good place to hunt can be something of a challenge. Even so, over 1.5 million acres of land are still available for public hunting. Why Hunt Deer on Public Land in Texas? While hunting public land may present a little more of a challenge with other hunters also vying for the same opportunities, it’s also one of the most affordable options. An annual license only costs $48 from the Texas Parks and Wildlife while packaged hunts can run up a price tag anywhere from $1500-$15,000. As for the extra challenge presented, the patience and perseverance invested pays off in the end when you feel the accomplishment of a successful hunt. There is little else that is as satisfying as spotting a beautiful buck through the scope, taking aim, and successfully hitting the target. The meat the deer will provide will put food on the family table for months to come. Bringing home the bacon, or the venison, is a deeply satisfying feeling. Where Can You Find Public Land to Hunt Deer? The Texas Parks and Wildlife Department is a good resource for finding public lands on which you can hunt. A lot of hunters are drawn to South Texas, or what is called Bush Country, where the deer are larger and more magnificent. Many hunters prefer to hunt in Hill Country where the free roaming whitetail deer are plentiful due to low fencing in most of the area. Still others like to hunt deer in the piney woods of East Texas. An added benefit to hunting public lands with the annual permit is that you have ample opportunity to hunt all over the great state of Texas. While searching for deer, you can enjoy the many beautiful vistas Texas has to offer. One of the disadvantages to hunting deer on public land is taking supplies with you and setting up a deer blind. Making use of a portable, self-contained deer stand like Swift Lift Trailer-Mounted Hunting Blind Stand can eliminate a lot of work and hassle. The Swift Lift can be set up in five minutes by one person and is easily taken down if you need to move to a better location or when you are ready to go home. The deer stand works equally well for bow-hunting and rifle hunting alike. The Swift Lift portable hunting blind is a valuable resource for the traveling hunter who enjoys trekking around the best hunting spots in all of Texas. Visit the Swift Life website and watch the swift lift in action. Check out the Texas Parks and Wildlife Department website for information about Hunting Permits, and explore their Locater Map of Public Hunting Areas. Check out this Texas Parks and Wildlife article for a list of public parks and their regulations.